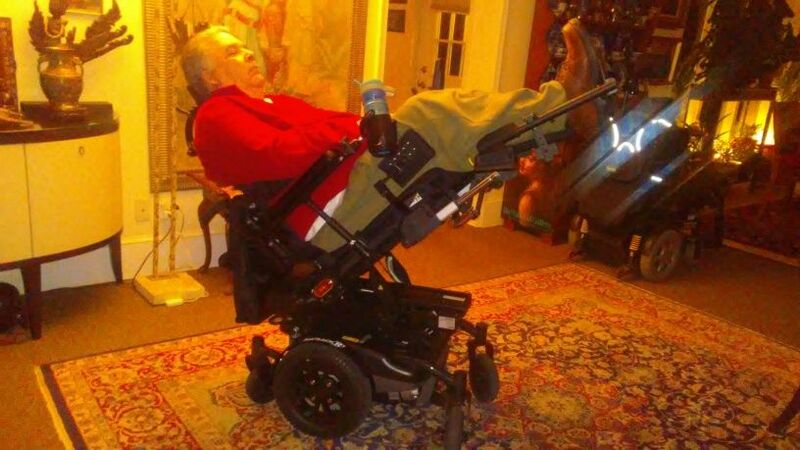 A video on modifying an AmySystems Midwheel chair. Kulea, Do you have an EZ Lock on your Amy? I just had an EZ Lock bracket put on my Amy R3 Hybrid. 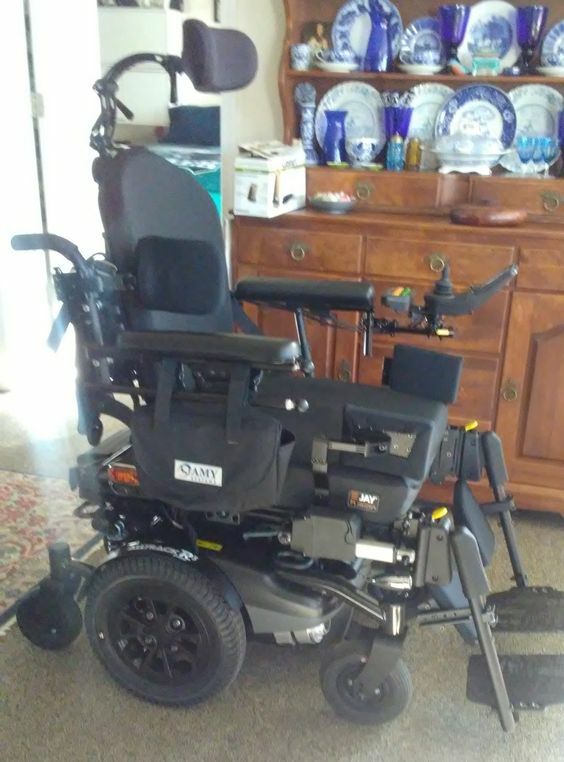 I'm going to pick up the chair tomorrow & return Wednesday to be fitted for Driving. The Mobility Van conversion vendor was worried that the new chair is 1/4" higher. I told him my back up plan was to lower the chair with the smaller 12 1/2 " with 8" casters wheels. But he wondered if the lowered AMY will still fit the EZ Lock? Wow I didn't even think of that neither did my therapist. I just got a reply from Amysystems. "Yes, EZ lock is compatible with our bases including the R3. Wheel types shouldn't factor into that compatibility." Quick shot of my new Black Opal Amy (Quickie Colors). Don't bother with this color its not much different than regular black. Last edited by Norm; 01-11-2019 at 07:55 PM. May I ask - Those leg rests, do they elevate or just tilt in place? They look like quick release (yellow tabs). The reason I ask is I am looking at tilt/recline/elevating leg rests but am thinking elevating leg rests can't be removed easily if you wanted to. Say air travel. I remove leg and armrests and joystick as that's the first thing the ramp crews will grab to try lifting a 300+ pound wheelchair. Actually I've never watched Cheers. Yes they release easy. Push down the yellow tab & pull. Here's a picture on how high my leg rests go. I can tilt back and raise the leg rests also. Last edited by Norm; 02-02-2019 at 08:47 PM. The suspension on the RWD is slightly different. But, most of that video applies in my experience. As I said earlier, the one case where it really fails is on slippery wet floors, where I get absolutely no traction. While my Quickie P222 still slid a bit, I could power through most circumstances. Like, I keep wondering that in an emergency, if I had to escape my bedroom, maybe I would rather be in my Quickie. Even if the tires started melting, I think it would still keep moving. Here's a pic of the narrow wheels that I should've posted a while ago. I was fitted for driving the van yesterday & the good news is I don't need to go with the smaller Wheels. I have enough of head room. I didn't even have to move my EZ Lock only the stabilizer bracket. Thank you, Norm for posting those pics. Very helpful. May I ask you a couple other questions? - The front frame that leads to front castor wheels - looks strait vs flared, correct? In R3 I trialed the flared made for difficult turning in tight spaces. Straight would be option I go for. - The leg raise actuator: It simply disconnects as well? - Do you access the seating functions via joystick or other control box (mounted) buttons? Glad to hear in your other post you didn't need to move ez lock bracket. Drilling less holes in your van floor is always a good thing. You look pretty comfy in your new chair. If you are ever tilted back and relaxing, try to find a re-run or Netflix Cheers. From your posts, you seem a good humored / nature guy. You may enjoy it. I have a older Amy AllTrack R HD, about 6 years old now. It has Group 24 Batteries which bought hub to hub width up to 25". I've been using it since my Q6 Edge was broken. Got new joystick and she's running again. Amy has good speed and climbs very well. My seat functions are through the joystick R-Net. 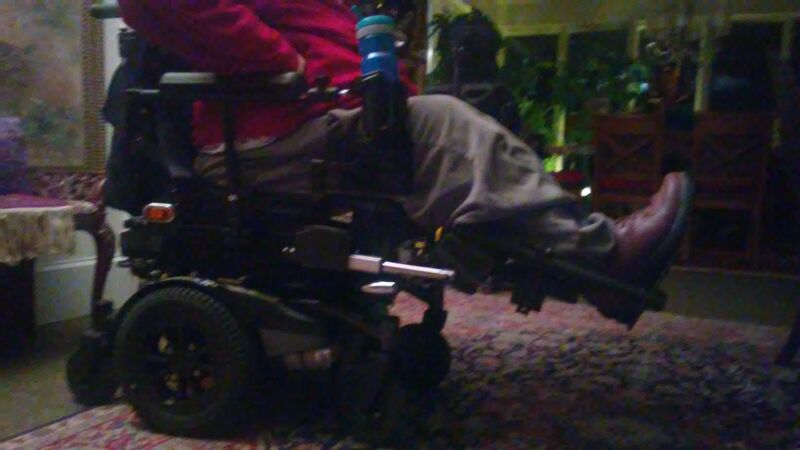 This I wish I'd gotten toggles or separate buttons like on Permobil 350, which is also a good chair. Well guess I forgot how to post pictures!! Thank you for chiming in Mike. The more info the better! Geez that 350 seat looks comfy.... The 350 seems none to shabby either. I don't know why they stopped making it? I have a Q700M coming for trial. I'll see how she goes. The R3 is my front runner still. Hard to tell in you pic as well - Are front frame arms to castors straight or flared?